Several tests later, Dr. Barbers sits down with John and shares the news: One of his arteries has a partial blockage, and he needs surgery to put a stent in place. John has known that he needs to take better care of himself, but he didn’t realize it had gotten this bad. He discusses next steps with the doctor and schedules his surgery, feeling nervous for such a critical procedure yet relieved they can solve it. However, there’s still an underlying issue. A stent may help improve blood flow and reduce the likelihood of future blockages, but will it actually solve the real problem? If John continues to live an unhealthy lifestyle, will he just end up on Dr. Barbers’ operating table again in a few years? Therein lies the big challenge with healthcare and the healthcare user experience: You can treat all the symptoms of an acute condition, but until you cure the root cause, the symptoms will keep coming back. The big challenge with healthcare and the healthcare user experience is that you can treat all the symptoms of an acute condition, but until you cure the root cause, the symptoms will keep coming back. 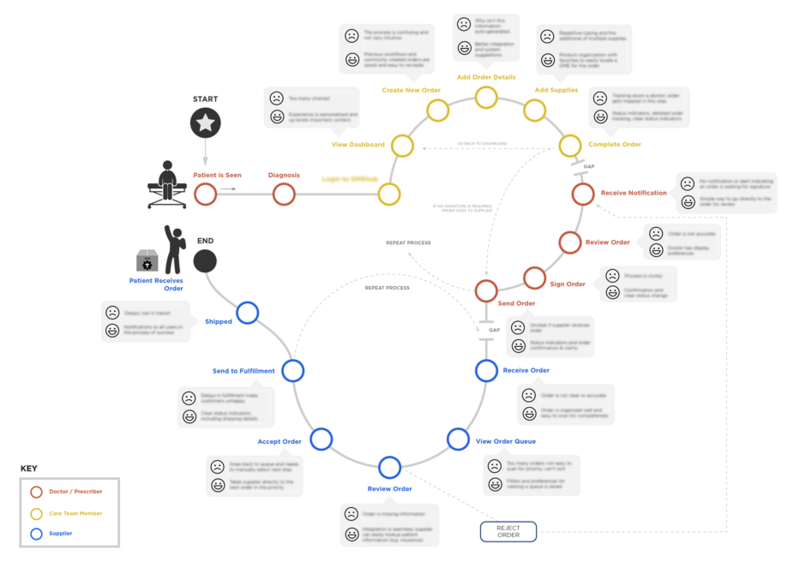 Identifying and treating the root causes of an issue requires the ability to see the macro view and how all of the individual interactions are connected. It also involves understanding not only what people do in a healthcare setting, but more importantly, the psychology behind why they do it. 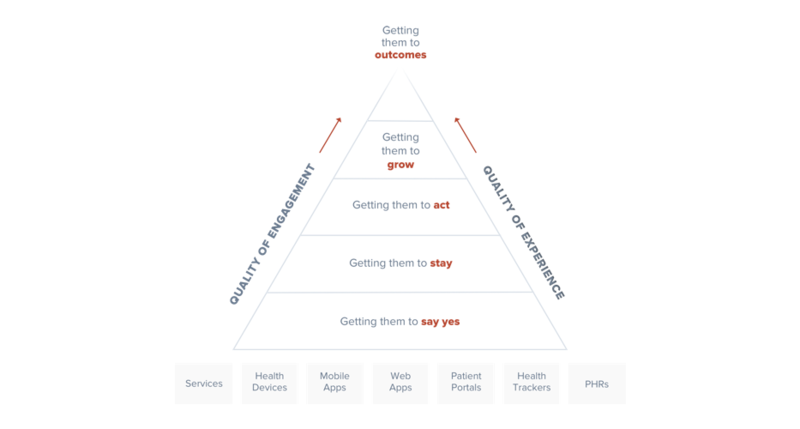 The ultimate goal of health UX is to achieve a meaningful outcome, not just for patients but for all of healthcare’s stakeholders (a patient’s family members, providers, care team, administrative staff, payers, and more). Ian Worden, Product VP and author of BetterPatientEngagement.com, says realizing those meaningful outcomes requires fulfilling a person’s hierarchy of healthcare needs. Engaging users and delivering positive outcomes is the destination, but the road to get there is littered with roadblocks: strict regulations, layers of administration, disparate systems, and more. Those obstacles can mean the difference between life and death, so there’s more than just a desire to overcome them – there’s a responsibility. 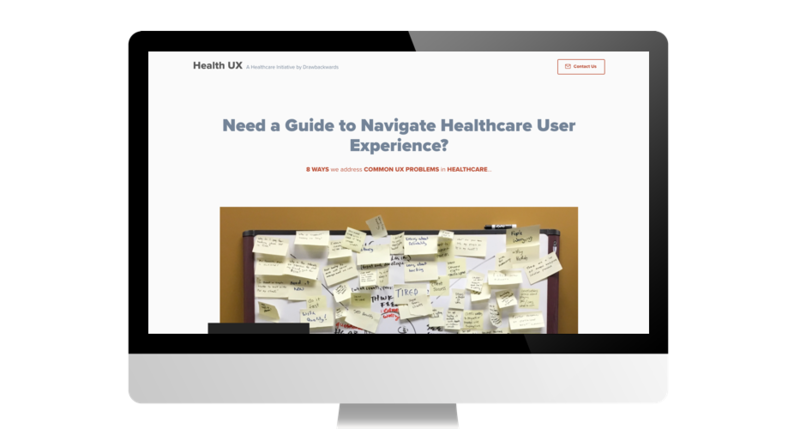 Here are some of the common healthcare UX challenges we see organizations experiencing, as well as some of the ways our team at Drawbackwards goes about solving them. #1: They aren’t aligned about who the users are and what they need. Healthcare professionals often know the primary or most common type of user who interacts with their product or service, but that’s not enough. What about the others? And what are each of those audience segments looking for from you? Chances are their mindset and needs are quite different. Only once you gain a holistic view of your users and their comprehensive needs can you create interactions and experiences that help them succeed. For example, most younger patients probably want to get in, out, and on with their day, while many older patients want their doctor to really spend time with them, build a relationship, and explain every detail. On the provider side, each person on the care team has different needs, so the ways they use technology products will differ too. For instance, doctors look for in-depth health history and patient information, while administrative staff just wants to verify insurance information, fill out forms, place orders, and complete tasks as quickly as possible. Only once you gain this holistic view of your users and their comprehensive needs can you create interactions and experiences that help them succeed. #2: They’re having trouble making mobile experiences meaningful. Mobile is all the rage, but how do you ensure those mobile experiences are actually effective? This question is even more complex for aging populations who are less tech-savvy and people of any age who have used the same process or system for years. Even if it’s outdated, they’re used to it, and convincing them to adopt something new is always an uphill battle. 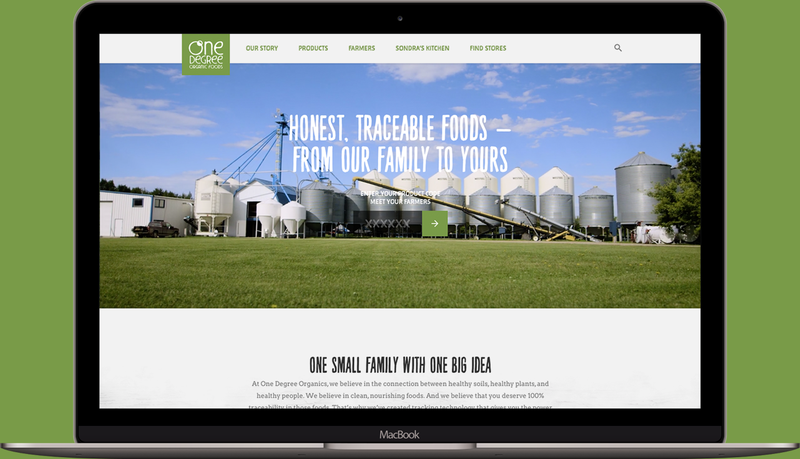 Going mobile is all about prioritizing information because you can’t display as much on a smaller screen as you can on a large one. This prioritization in healthcare UX is even more difficult because of the sheer amount of information the average user needs to be able to access quickly. A three-second delay can mean the difference between one-time use and sustained adoption, or even life and death. A three-second delay [in accessing information] can mean the difference between one-time use and sustained adoption, or even life and death. #3: They don’t understand the various paths users take. The number of different users and different paths they could take often feels overwhelming. It’s even more difficult in healthcare because there is so much data to process, and most of it lives in siloes. Lots of data (or “big data”) can be hugely helpful, but only if you can easily access and understand it. #4: They aren’t sure where to begin. 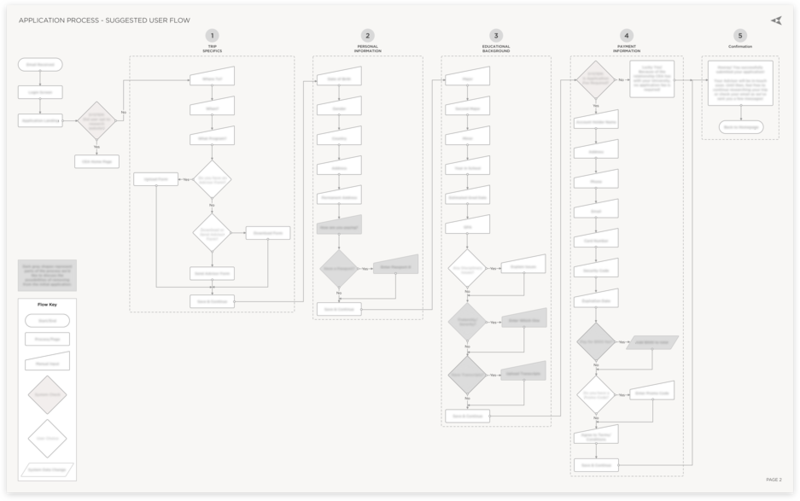 Once you see all the possible user paths, where do you go from there? You have all the “bites of the elephant,” but how to do tackle them in the right order for maximum efficiency and impact? That’s where having an external health UX partner really comes in handy. Your organization has deep healthcare expertise and domain knowledge, but it can be tough to see the forest through the trees. In contrast, Drawbackwards has deep UX expertise, but we don’t presume to know everything about your company or users. When we join forces, we combine our strengths and create something even better together. These types of initiatives are way too overwhelming for one person or team to handle, but it’s much easier and more effective when you combine the power of internal SMEs with external guides and supporters. 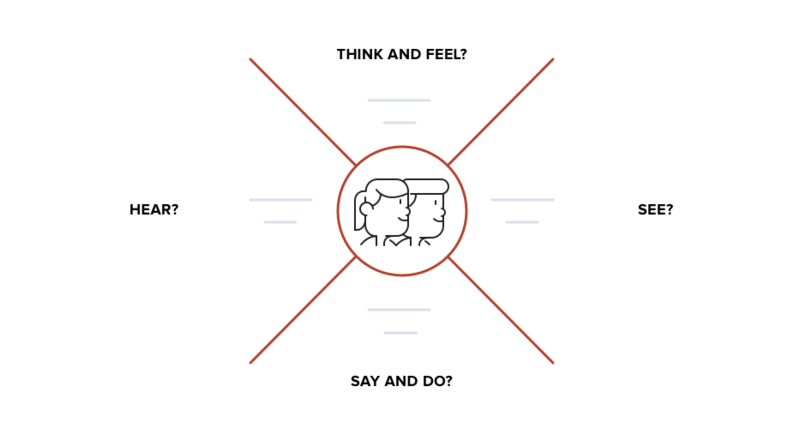 Health UX initiatives are way too overwhelming for one person or team to handle, but it’s much easier and more effective when you combine the power of internal SMEs with external guides and supporters. #5: Their users get lost in the system. Healthcare systems and apps are notoriously confusing. There are no clear pathways, calls to action, or indications that you’re doing the right thing. When people feel frustrated, they just want to pick up the phone and talk to a human, costing even more time, money, and energy. By reducing friction and making the “new way” feel worlds easier than the old way, healthcare organizations can show their users the power of a positive experience and attract sustained customers for life. #6: They’re settling for the same old ways. Change is hard for anyone, but it’s especially hard in healthcare. Many patients are older and set in their ways, and providers often continue using broken systems even though they’re inefficient because they’re still functional and familiar. Plus, with compliance regulations and the pressure of holding someone’s health in your hands, the stakes are even greater. Where is innovation supposed to live in an environment like that? Sometimes, all it takes is someone with a fresh perspective to identify small opportunities that could make a huge impact. 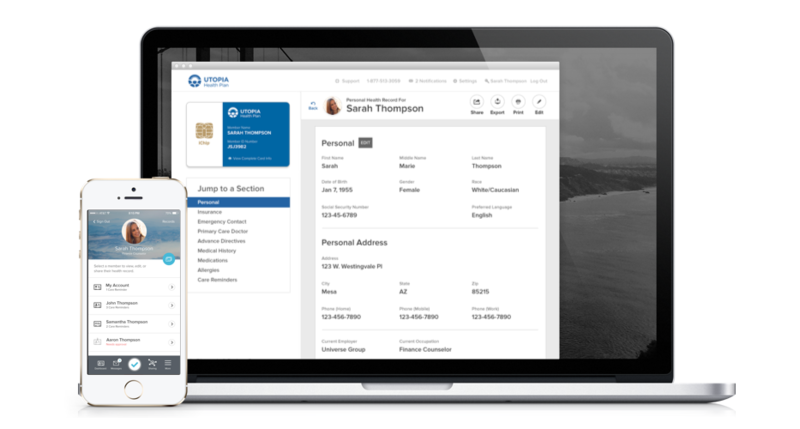 For example, our team worked with LifeNexus to reimagine one of the oldest, most critical documents in healthcare: the Patient Health Record. 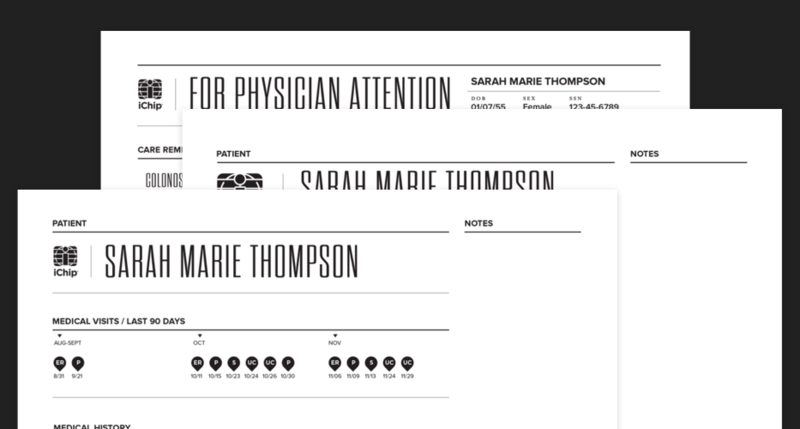 PHRs are complex, outdated, and incompatible with disparate systems, so the Drawbackwards team worked side by side with LifeNexus to design a health record that would deliver automatically-updated, patient-specific information when a patient checks in for care, along with being accessible and shareable from any device. LifeNexus could have easily settled for the current, broken PHR. But by challenging the status quo and partnering with a team who could offer fresh ideas, they were able to revolutionize the experience for both patients and providers. #7: They’re missing the meaning or taking too long to show it. Healthcare organizations have settled for products that just “get the job done.” But in the new age of consumer-controlled healthcare, expectations are rising, and people are shopping for care like they shop for other goods. You have to earn their business. Plenty of health products and services are functional, but that’s not enough anymore. Organizations need to reach for the higher levels of the Experience Success Ladder and add more value. 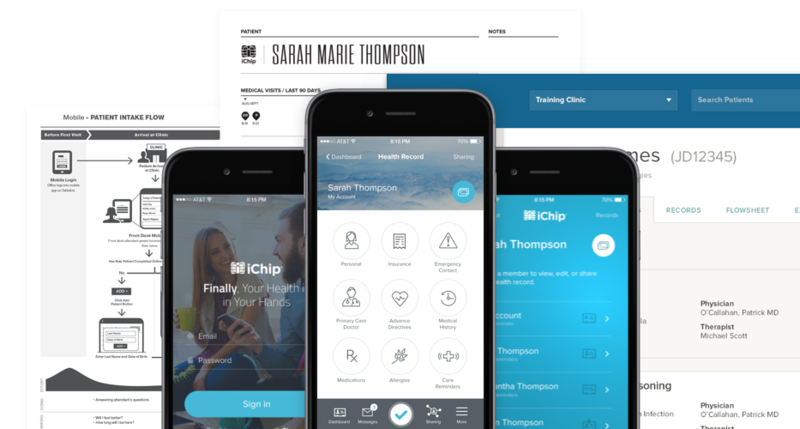 How will they make the healthcare user experience more comfortable, delightful, and meaningful? In the new age of consumer-controlled healthcare, expectations are rising, and people are shopping for care like they shop for other goods. You have to earn their business. Even the products that dramatically improve the healthcare experience often take too long to do it. Whether you’re working with patients, providers, payers, or any other human, you have one chance to pique their interest and show them how you can improve their encounters. Are you making your chance count? Healthcare is rife with challenges, and it’s all too easy to make excuses as to why it’s not worth making changes. But even if it takes time…even if it’s hard to develop a compliant solution…even if it requires a short-term investment…the payoff in the long run is worth it. 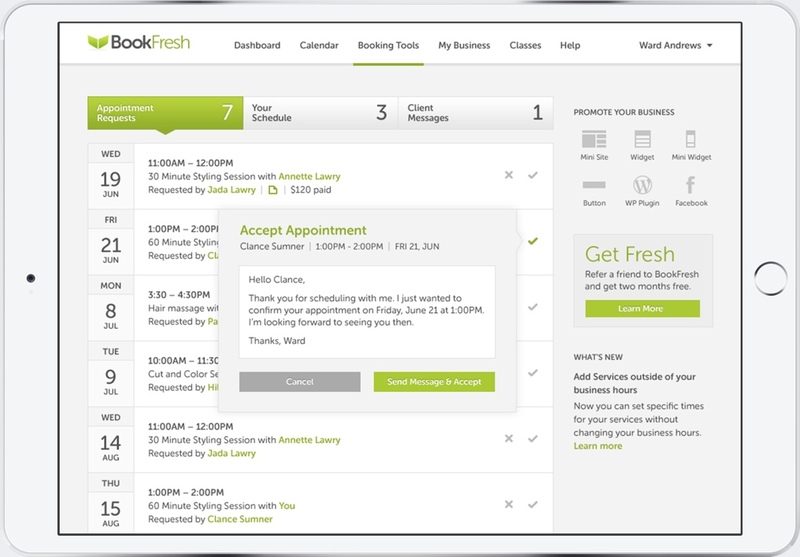 Better experiences create more engaged users and produce millions in ROI. More engaged users will continue to use your product over time and take action on their own accord. When they experience self efficacy, they keep coming back and feel more meaning with every interaction. When it comes to UX design, our motto is “User Success = Business Success.” That’s never been more true than in healthcare UX. Want to breathe life into your organization’s healthcare experiences? Visit healthux.com to learn how to begin. Subscribe for articles like these in your inbox once a month.